Home Firmwares Users Can Jailbreak iOS 10/10.0.2/10.1.1/10.2 | Yes or No? Users Can Jailbreak iOS 10/10.0.2/10.1.1/10.2 | Yes or No? Hey, guys what’s up. With latest iOS 10 released we are a bit confused whether we can Jailbreak iOS 10 or not. The latest version of iOS available right now are iOS 10/10.0.2/10.1.1/10.2. Many users are are searching how to jailbreak it but still no one has the answer. If you are an avid fan of jailbreaking iOS then no one knows better than you that what it is like to have jailbroken device. Although it is not impossible to jailbreak iOS 10/10.1.1/10.2. Developer and hackers were able to do a demo on Jailbreaking iOS 10 with iPhone 7. And I can assure that it will be out but we don’t know when. We also haven’t heard the jailbreak status for iOS 10 from Pangu team as well. The last version of iOS that could be jailbreak is 9.3.3. And our bad luck is we can’t even downgrade to that version now. This is because Apple has stopped signing 9.3.3, 9.3.2 and 9.3.4. Which means we can only downgrade to iOS 9.3.5 which also can’t be jailbroken. Lucky for you’re on iOS 9.3.3. However for now we can not find any proper method to jailbreak iOS 10.0.2 or 10.1.1. And we don’t either want to ruin or iPhone by testing some false iPhone iOS 10 jailbreak method. Currently there is no verified iOS 10 jailbreak tool. In the mean if you want any free apps or games then you can give a shot to Tutuapp or vShare. These app stores are worth trying. Wait guy !! Actually we may have a chance. Below are some updates regarding attempts to jailbreak iOS 10.2, 10.1, 10. Good news Guys. You can now jailbreak iOS 10 and iOS 10.1.1 with Match_Portal+Yalu jailbreak by Luca Todesco. And here is the full iOS 10 Jailbreak Guide. But it is in beta version and not stable. 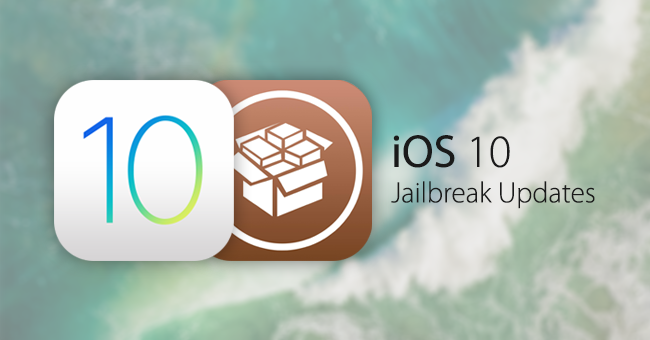 Guys if you have an information for jailbreak on iOS 10/10.1/10.2 then please do share in the comments below. And let us know. We will immediately publish it so others can know about that. Because only an i-geek can know what it is without jailbreak on iPhone or iPad. So, Guys that is all what we have on Jailbreak iOS 10, 10.0.2, 10.1.1, 10.2. Follow us on Twitter, Facebook, Google+. And get the latest updates. Thanks, Take Care, Bye.